Commission (INEC) Chairman, Prof. Mahmood Yakubu, to postpone the elections in Zamfara State. Addressing reporters in Abuja, Secondus alleged: “What the AGF is seeking is not backed by law. He is an interested party in this matter and has no moral right to advise INEC.“The inability of the APC to field candidates due to self-inflicted crisis when other parties did within the stipulated period for the election is not covered by Sections 38 & 39 of the Electoral Act 2010 which the AGF is relying on in his dubious advice. “I therefore call on INEC to follow the dictates of the law and continue in its plan to achieve a credible election.”Reacting, the AGF refuted the claim, describing it as false and misleading. In a statement, he said the letter in question was a reaction to a petition from M.A. Mahmud informing his office of the subsisting Court of Appeal decision, which upheld the APC primaries in the state. 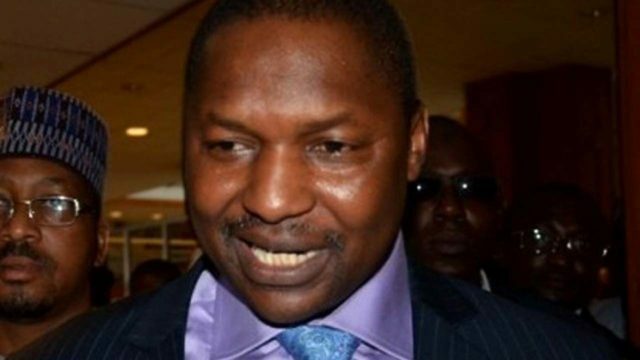 According to the statement, the AGF stated that he only wrote INEC informing it of the development and requested the commission to comply by extending the time within which the political party may field its candidate in the gubernatorial election. It reads in part: “It is pertinent to note that the constraining circumstances that led to the delay in fielding a candidate were caused by INEC’s refusal to comply with the Zamfara State High Court judgment which upheld the said APC primaries. But a human right lawyer, Chief Mike Ozekhome (SAN), has insisted that “there was never a time the Court of Appeal upheld the APC primaries in Zamfara State as valid.” He described Malami’s interpretation of the ruling as erroneous.However, erstwhile president of the Nigerian Bar Association (NBA), Dr. Olisa Agbakoba (SAN), has asked the AGF to withdraw the correspondence.He therefore urged INEC to discountenance the advice of the nation’s chief law officer.